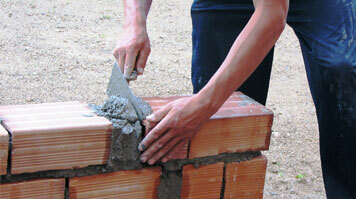 The Construction Youth Trust supports disadvantaged young people aged 14–30 into education and work in construction. Their 'Build Brighter Futures' project will provide free, accredited construction skills training to young unemployed homeless residents at a Centrepoint hostel in Ealing. The trust has won £50,000 through The People's Millions, a partnership between Big Lottery Fund and ITV where the public help decide which local community projects receive lottery funding. Through the project the young people will use skills they have learnt to renovate parts of the hostel in need of repair—improving the living environment for themselves and future residents. Participants will receive mentoring during the project so that they can potentially develop a career in the industry. The Construction Youth Trust began a Knowledge Transfer Partnership (KTP) with London South Bank University in May 2013 for two years, funded by the Technology Strategy Board and Welsh Government. KTP associate Jemma Bridgeman and Professor Alex Murdock, course director of the MSc Management in Civil Society, are working with the trust to develop a Social Return on Investment (SROI) model. This will provide evidence of the positive social and financial aspects of the trust's work and help secure future funders for their projects. Martha Crawford, Business Development Support Officer at LSBU, says: "We're very excited to be working with the Construction Youth Trust to cement their status as a valued charity, and hope our research can go some way towards continuing the good work that they do for young people's careers."